Composer Steve Stucky sits down with CIM's Head of Composition, Keith Fitch, to discuss teaching composition. Steven Stucky is one of America’s most highly regarded and frequently performed living composers. Winner of the 2005 Pulitzer Prize for his Second Concerto for Orchestra, he is a trustee of the American Academy in Rome, a director of New Music USA, a board member of the Koussevitzky Music Foundation, and a member of the American Academy of Arts and Letters and the American Academy of Arts and Sciences. He is also active as a conductor, writer, lecturer, and teacher. An active teacher and mentor to young composers, Stucky has served on the Warsaw jury of the Witold Lutoslawski Competition for Composers. His highly-esteemed expertise on the late composer’s music has been recognized with the Lutoslawski Society’s medal and an ASCAP Deems Taylor Award for his critical biography, Lutoslawski and His Music (1981). He is consultant to the Philharmonia Orchestra’s 2013 centennial celebrations of the composer in London. 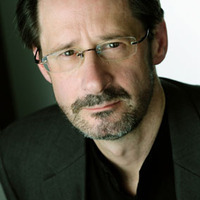 As conductor, Stucky has frequently led the Los Angeles Philharmonic New Music Group and Ensemble X, a contemporary music group he founded in 1997. With the former, he led soloist Michala Petri in the US premiere of his recorder concerto, Etudes (2002), and conducted world and regional premieres of works by many of his contemporaries, such as Donald Crockett, Jacob Druckman, William Kraft, Witold Lutoslawski, Christopher Rouse, Joseph Phibbs, and Judith Weir. 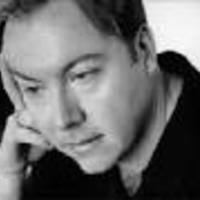 Stucky was Composer-in-Residence of the Aspen Music Festival and School in 2001 and 2010, director of the Aspen Contemporary Ensemble in 2005, and the first Barr Institute Composer Laureate appointed at the University of Missouri at Kansas City. Among his other honors are a Guggenheim Fellowship, a Bogliasco Fellowship, the Goddard Lieberson Fellowship of the American Academy of Arts and Letters, the ASCAP Victor Herbert Prize, and fellowships from the National Endowment for the Arts, the American Council of Learned Societies, and the National Endowment for the Humanities. His first Concerto for Orchestra was one of two finalists for the 1989 Pulitzer Prize in Music. Stucky has taught at Cornell University since 1980, chaired the Music Department from 1992 to 1997, and now serves as Given Foundation Professor of Composition. He has been Visiting Professor of Composition at the Eastman School of Music and Ernest Bloch Professor at the University of California, Berkeley. Born on November 7, 1949 in Hutchinson, Kansas, Stucky was raised in Kansas and Texas. He studied at Baylor and Cornell Universities with Richard Willis, Robert Palmer, Karel Husa, and Burrill Phillips.